Home About Screenshots Get It! 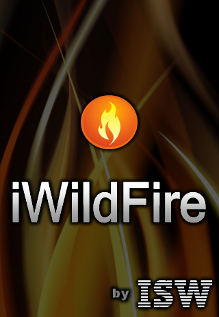 iWildfire is the vital component that IBM Connections has been crying out for. A full-featured native client for iOS opens up the social suite to the mobile power user, delivering everything from activity streams to blog editing in a fast and attractive client. Even better, iWildfire seamlessly supports multiple Connections, a must for any community advocates or consultants. ISW have delivered a wonderful gift to the Connections community and I thank them for it. iWildfire is the must have iPhone app for every single IBM Connections user. It allows me to have the power of my Connections network in the palm of my hand where I can use anytime - anywhere. My IBM Connections Status Updates spread far and wide with iWildfire! ISW is an IBM Premier Business Partner providing end-to-end technology solutions to clients across the full IBM software and infrastructure portfolio. Fully certified within the brands of WebSphere, Lotus, Tivoli, Rational, Business Analytics (Cognos), and Information Management, ISW is able to take on a variety of projects within any industry and provide a successful outcome driven by our breadth of experience and depth of expert knowledge.